The Dorsey Leadership Academy is designed for underrepresented students in the College of Education to ensure their successful and timely completion of education degrees from the University of Missouri. To support students to successfully navigate their journey through the College of Education and experience at Mizzou. To engage students in the College of Education community in order for them to thrive as contributing active members. To support the development of effective educators who remain in the field of education for a sustained period of time. To develop distinguished teacher candidates with expertise and experience in education research, leadership, and multicultural competence. Click here to learn about the Carolyn A. Dorsey Scholarship. 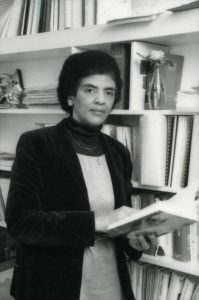 As Associate Professor of Higher Education, Dr. Carolyn Ann Dorsey was the first African-American faculty member in the College of Education at the University of Missouri. Dr. Dorsey authored several notable works including “The African American Educational Experience” from the book, The African American Experience: An Historiographical and Bibliographical Guide, by Arvarh E. Strickland and Robert E. Weems Jr.